On March 23rd 2018, musicians from a world-famous philharmonic orchestra in Vienna were our guests. After their concert in the Gewandhaus conducted by Daniel Barenboim, they entered new territory in the Moritzbastei Leipzig! 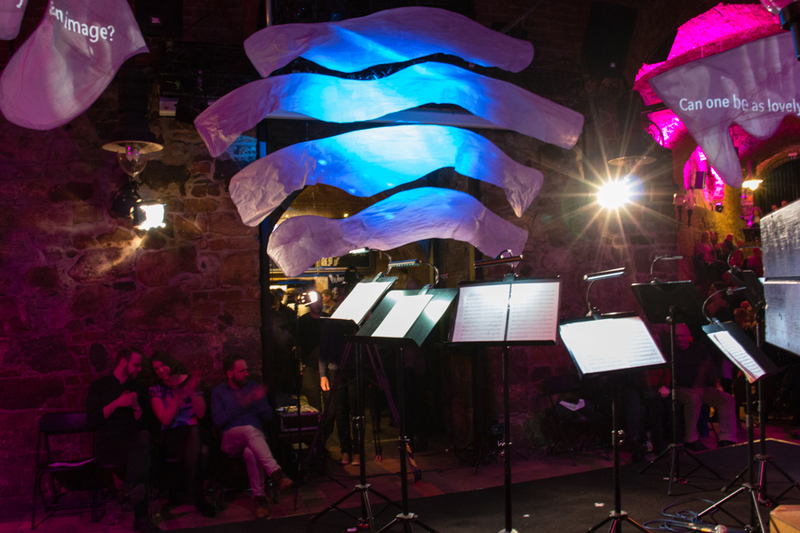 Together with colleagues from the Gewandhaus Orchestra the musicians dived into subterranean urban nightlife and presented an aftershow combining classical music with light and video art. Charlotte Eifler and Martin Liebkos performed their video mapping installation live to Ravel’s Introduction and Allegro for Harp, Flute, Clarinet and String Quartet and Beethoven’s Septet, creating a new visual world for the musical language of these composers. The open-minded audience in the sold-out Moritzbastei enjoyed the atmosphere of this experimental concert and the evening concluded with much applause.